Carbon monoxide (CO) poisoning is a serious problem where exposure to toxic fumes causes more than 40,000 injuries every year in America. In fact, CO poisoning can occur from various sources including malfunctioning heaters and boilers in residences or commercial buildings. The toxic gas is produced every time fuel is burned including gasoline, kerosene, charcoal, wood, and oil. The concentration of the carbon monoxide depends on the efficiency and quality of its combustion. 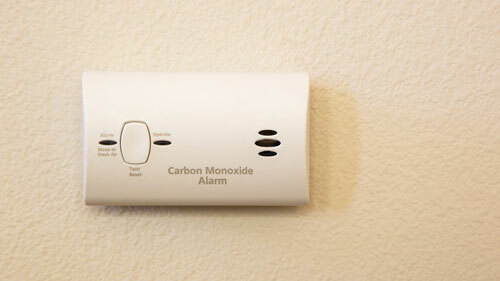 Without a carbon monoxide detector, no one can smell or see the toxic vapor. At high concentrated levels, CO can quickly kill in minutes. It is the leading cause of the nation’s poisoning deaths, claiming the lives of more than 500 victims every year. Most accidents involving carbon monoxide poisoning from boilers and heaters occur from appliances that are used or maintained improperly. Dangerous levels of the toxic gas can quickly accumulate in enclosed spaces, creating a hazardous and life-threatening environment within minutes. Broken heat exchangers and rusted boilers can prevent the combusted gas fumes from being exhausted away from the structure. Malfunctioning fuel-burning heaters can produce a significant prolonged problem if the unit generates small amounts of accumulated carbon monoxide pumped into different rooms in the building. It usually takes a competent service technician trained in detecting hitting problems to locate and correct many of the conditions listed here. Do the experienced symptoms happen only when in a specific structure? Are there others in the house or building who complain of similar symptoms? Did these shared symptoms with others begin occurring about the same time? Is the air or water in the building heated with organic fuel? When was the last time the fuel-powered appliances in the home or building were inspected? Did the inspection determine that the heater, boiler other gas-powered equipment worked correctly? If you have suffered serious injuries caused by a malfunctioning heater or boiler, you may have the legal right to seek financial compensation from any individual or company at fault. A skilled personal injury attorney who specializes in carbon monoxide poisoning cases can assist you in filing a lawsuit against appliance manufacturers, service companies, builders, contractors, property owners or landlords. Rosenfeld Injury Lawyers LLC at 888-424-5757 accept carbon monoxide poisoning from boilers and heaters cases on contingency, so no upfront fees are required. Our skilled attorneys will investigate your claim and determine every party at fault for your injuries. Our law firm serves as your legal advocate to ensure you receive the financial compensation you deserve.